In general, the weather will be warm, with some sunny intervals and light showers occurring throughout the weekend. The pollen count is expected to be medium over the next three days. There will be sunny intervals throughout the day on Friday, with sunny spells particularly occurring between 09:00-12:00. 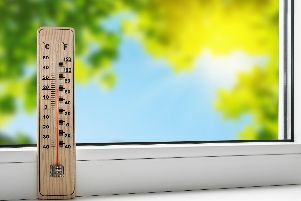 The temperature will reach its peak of 18°C mid-afternoon and will then begin to dip at around 21:00. Saturday is set to have sunny intervals and light showers throughout the day, with showery spells from 10:00-19:00. The temperature will reach its peak of 17°C at 16:00, before beginning to dip at around 22:00. The temperature will continue to rise on Sunday, with the temperature set to reach its peak of 19°C at 16:00. There will be sunny intervals throughout the day, particularly at 10:00 and 16:00, before the temperature begins to slowly dip at 22:00.